At a time of great political divide, there is one issue that unites many U.S. politicians and citizens: Drug prices are too high. President Donald Trump hinted at reforms with a series of colorful statements earlier this year. But 10 months into his tenure, nothing has materialized at the federal level. Instead, state governments are leading the charge. California Gov. Jerry Brown signed the SB 17 measure on Oct. 9 in an attempt to bring accountability and transparency to this debate. Come Jan 1., biopharma companies will need to alert state agencies and health insurers 60 days before implementing a price increase of more than 16 percent over a two-year period. By 2019, they must also justify why. According to a report by the National Conference of State Legislatures (NCSL), at least 16 other states introduced similar bills during the 2015-2016 political season. Vermont’s was the first to pass, in June 2016. Eight other states have filed drug price legislation targeting health insurers. Arkansas, South Dakota, and Texas signed theirs into law. A third approach, taken by at least 12 states, is to regulate pharmacy benefit managers (PBMs). The NCSL report notes that three states signed PBM bills into law in 2015 or 2016. Needless to say, the wins are hard fought. All the while, a bigger battle loomed. Proposition 61, dubbed “The California Drug Price Relief Initiative,” sought to open the floodgates on price negotiation. It became the most expensive ballot battle in U.S. history, attracting close to $120 million from both sides. Five out of every six dollars went to opposing the bill through a powerful marketing campaign. Prop 61 was ultimately defeated, but it’s safe to say a legislative movement is underway, noted Jeremy Schafer, senior vice president of Payer Access Solutions at Precision for Value, a firm that helps biopharmaceutical companies maximize their market access. Schafer believes the impact, both intended and unintended, will be widespread. “I think that whether this is a California law or nationwide, for some of these effects it’s almost a moot point,” he said. If companies notify California 60 days before a price increase, that knowledge will enter the public domain triggering actions and reactions in all 50 states. The question now: Will anything change? For John LaMattina, a senior partner at PureTech Health, transparency is what SB 17 is all about. A former president of R&D at Pfizer, LaMattina has spent the last 10 years forming new companies in a variety of biopharma fields, to be sold or progressed through PureTech’s late-stage pipeline. “It’s a law that is really meant to shame companies,” LaMattina said in a recent phone interview. But it’s not clear whether the desired goal of keeping prices affordable will be achieved. In that context, the bill lacks teeth, he said. For example, the disclosure rules in SB 17 apply to increases of more than 16 percent over a two-year period, for drugs worth more than $40. That threshold is high. A pharmaceutical company could raise the price of a drug by eight percent a year, year-over-year, LaMattina pointed out. After nine years, the cost of the drug would have essentially doubled. A $1,000 drug would now cost $1,999. A $65,000 drug would cost almost $130,000. “So you’re still doing pretty well, working within the confines of the California law,” LaMattina said. For Schafer, with Precision for Value, one of the primary concerns comes through the requirements for public disclosure. Even one state implementing strict laws would force biopharma companies to show their hand. This could disrupt existing supply chain economics in an unintended way. If a pharmacy knows that a price increase is on the way, it can stock up on the drug before the increase takes effect. When it sells the drug after those 60 days, it will be reimbursed by the payer at the new inflated cost. “There’s a concept, especially amongst providers, hospitals, and pharmacies, around ‘buy low and sell high,” “Schafer said. Good inventory managers try to anticipate price changes and stock up on that drug. But it’s guesswork. Giving pharmacies, providers, and hospitals 60 days notice dramatically changes the game. “If you’re a manufacturer now, what you can expect is that as soon as you make the announcement to California and it gets out, every one of your customers is going to come to you wanting to buy a bunch of product,” he said. LaMattina believes drug price legislation could also create new logistical challenges for companies, particularly if the laws are introduced state-by-state and not at the federal level. If a company does decide to increase the price of a therapy significantly, would they then have to notify and justify the change to every single state? How many employees would it take to keep compliant with dozens of separate regulations? Companies selling drugs today can adapt their pricing strategies. What’s going to happen to those in early-stage development? If the transparency bill does its job and moderates drug price increases, there could be downstream implications. “I think it creates more challenges for companies that are bringing drugs out,” Schafer said. The promise of a blockbuster drug has long been dwindling. Schafer points to more and more examples of drug companies introducing new therapies well below the expected price, such as Roche’s multiple sclerosis drug Ocrevus. In hepatitis C, both Merck and AbbVie undercut Gilead’s dominant franchise, bringing prices down and triggering companies in the R&D phase to cut their programs altogether, given how much the profit potential had evaporated. Such a scenario can be a boon for patients. On the other hand, it could hurt future R&D pipelines. “When a competitor comes in much lower than you expected, it kind of throws off what your pricing strategy is going to be and what your profit expectations are going to be,” Schafer remarked. LaMattina believes a wider “dampening down” of the drug industry may cause some investors to put their money into other industries. Drug development is already a tough sell with the 10+ years it takes for a product to reach the market, he said. Being patient only makes sense if the eventual returns are there. That being said, the industry is not going to change overnight. LaMattina doesn’t expect to change his investment practices. For Schafer, the final impact of the bill may come down to the details. “It will depend on what level of information California gets when it comes to the rationalization of a price increase,” he said. Is it enough for a drug company to say it’s running some additional clinical trials? Or that manufacturing costs have risen? How will that be received when Big Pharma has historically spent more on marketing than it has on R&D? That makes the industry’s argument that these efforts hurt innovation a bit specious. Still, LaMattina points out these efforts could be the start of a slippery slope. “I think the bottom line is that, while this law isn’t particularly detrimental, opening the door could offer all sorts of issues down the line as this becomes more prevalent and calls for more transparency occur,” he said. At the end of the day, the drug industry may be unable to stop a gradual tide of regulations and restrictions. However, as this New York Times article illustrates well, they can significantly slow it. 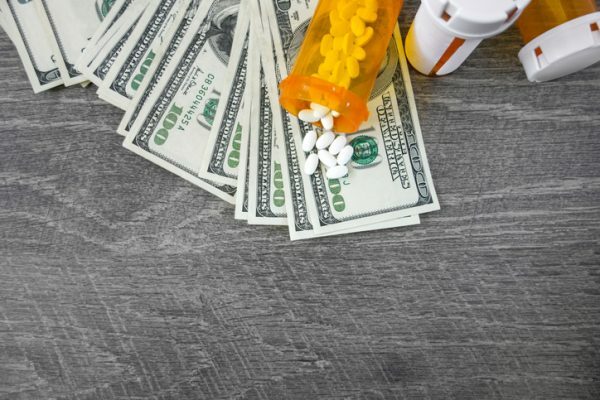 Titled, “Drug Makers Face Pressure To Restrain Price Increases,” the article describes a new federal law, which it calls the “toughest measure yet” to curtail rapidly increasing drug prices. The article was published May 11, 1991. Settle in for a long and highly contested path to bring healthcare costs down. Correction and Clarification: A previous version of the story described PureHealth Tech as a venture capital firm. Previously the company was called PureTech Ventures but around the time of its IPO, the company became PureTech Health, a biopharma company. It addressed areas of unmet medical need and then license IP and start small companies with seed funding. Then PureHealth Tech grows the programs to a key point, to either sell or develop into fully-fledged biotechs.